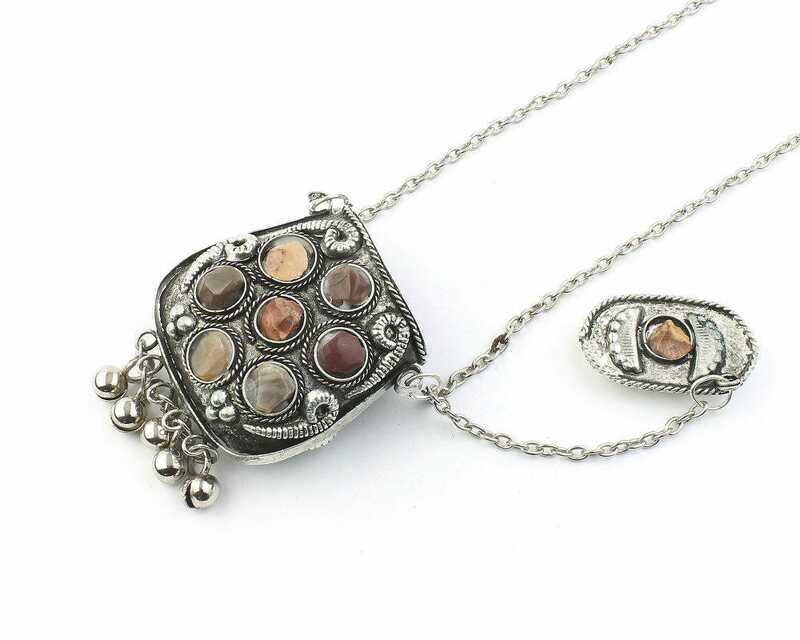 Ornate pendant with neutral colored stone accents. Top of pendant opens to reveal secret compartment. 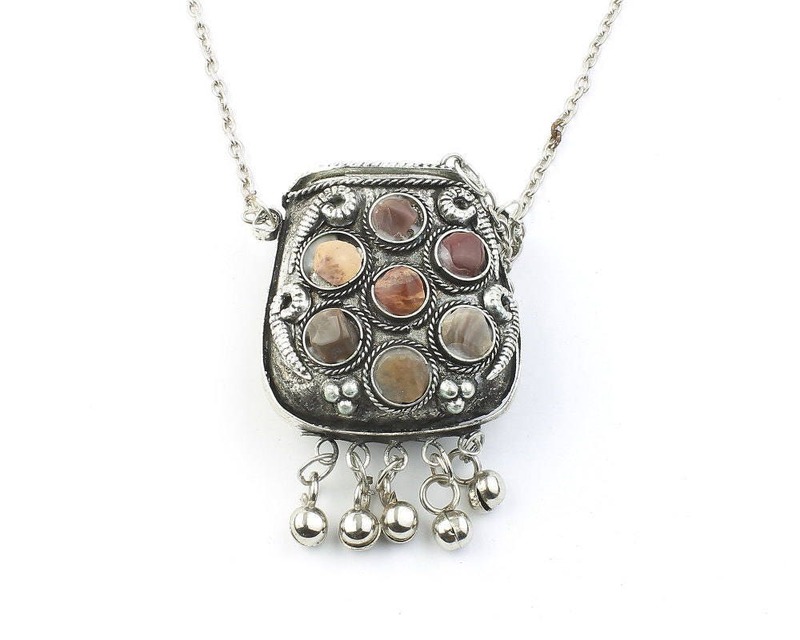 A set of jingling bells hang from the piece. Dark patina finish gives the piece a beautiful aged look. Necklace hangs 24 inches with chain.